When the Word content you insert with the Qorus Add-ins contain Smart Fields and Rules, the insert behavior is a little different compared to inserting content that does not contain any Smart Fields and Rules. 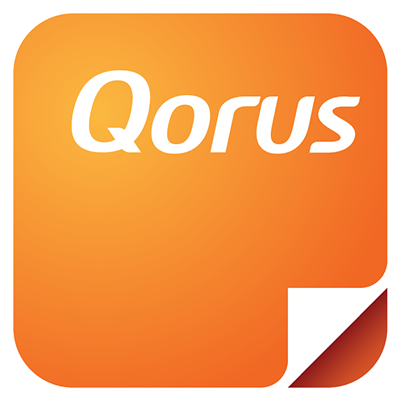 The information you provide in this form will be used by Qorus to instantly personalize your re-usable Word content, as you're inserting it into documents, emails and presentations. Below, you can learn more about how Smart Fields and Rules work with the Qorus Insert. To learn about how to design Smart Fields and Rules and add them to your documents, click here. GlobaTech Solutions are designed with best practices in mind, and ship with a rich feature set out of the box. <Client Company Name>’s Globatech Solution Delivery Team will work in close collaboration with <Client Company Name>’s key stakeholders to tailor the solution to <Client Company Name>’s exact specifications. This is just a small extract of this document. It actually contains a total of 13 instances of <Client Company Name> throughout the seven page document - which would be very tedious to manually replace with the actual customer's company name, in this case: Acme. The Smart Insert does an 'auto find and replace', getting rid of placeholder text and personalizing it with real customer information you provide in the form. Also in this example, you'll see there's a drop down menu that allows users to select the solution the customer is interested in. Based on the choices made here, Qorus will evaluate the Smart Rules within the document and automatically include document sections that are relevant to the customer's interest, and automatically exclude document sections that talk about other features that are not of interest. Smart Rules are essentially 'show / hide' rules, which when evaluated based on the information provided in the form, will auto-adapt the inserted content for the business context. It works in all the Qorus Add-ins, meaning you can use Smart Insert when you're typing an email, building out a document, or collaborating around a presentation. And the best part - Smart Insert remembers the information you provide, so if you're inserting multiple pieces of content, you don't have to keep on filling in the same information over and over again.